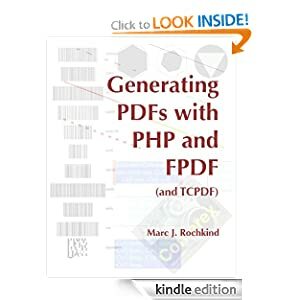 This book shows you how to use the well-known and completely free FPDF library to generate PDFs directly from your PHP program. All of the functions are explained clearly and with numerous examples. Included are numerous extensions provided by contributed scripts on the FPDF.org website. These bring FPDF much closer to the TCPDF library than many people think is the case, as this book proves. That part of TCPDF that overlaps the functionality covered here is also explained, with TCPDF examples, too. All of the PHP source code for the examples is available for download, and you may freely use it in your own applications.